Happy Wednesday! 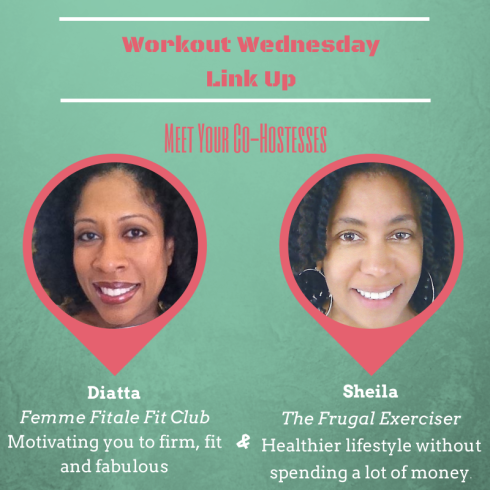 I'm hosting the Workout Wednesday (WOW) linkup again, with fabulous co-hostesses Diatta Harris from Femme Fitale Fit Club, Sheila Simmons from The Frugal Exerciser, Natalie from Clean Eating Teen, and yours truly! As I mentioned on Monday, I'm headed to the Philippines NEXT WEEK for a work trip. Aaand then I'm going to Belgium and Amsterdam with the bf on vacation!! Which is all super exciting, but it means I'm going to be gone basically the whole month of May. And while I've been pretty good about keeping up with the blog during travel, this trip is going to be pretty intense so I'm looking for some guest posts! 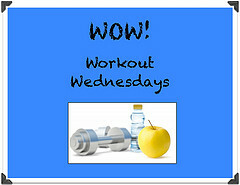 Posts on health, fitness, food, or blogging. About 300 - 750 words. It's cool if you go a little over or under. Stuff happens. Original content that you haven't posted previously. Posts that can be submitted to me for review by May 12. Posts that are fun to read! Link on the post back to your blog. 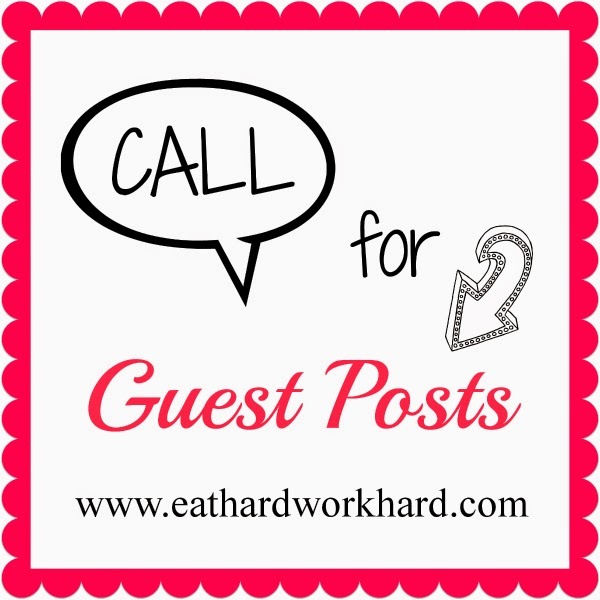 Tons of shout outs promoting your guest post and blog on all my social media channels. 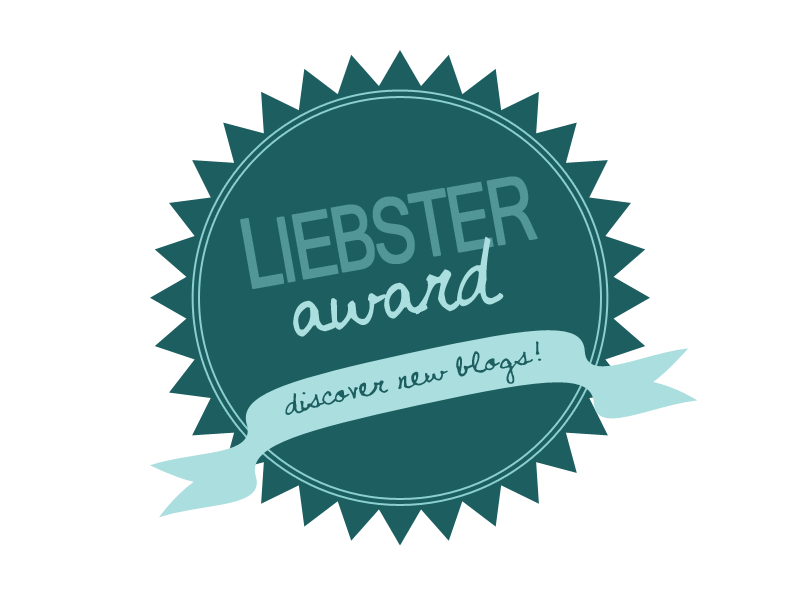 Reciprocal guest post any time after June 1 if you need it. Drop me a line at eathardworkhard(at)gmail.com if you're interested. Hope to hear from some of you soon! 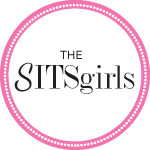 Lindsay of Broke and Bougie blogs about staying fit, healthy and fabulous on a dime in one of the most expensive cities in the nation: Washington, DC. And she's hilarious! Check out her blog and show her some love on Twitter, Pinterest, Instagram, Google+ or any other way you can think of. Just as long as you don't actually stalk her. That would be bad. You too can be featured! 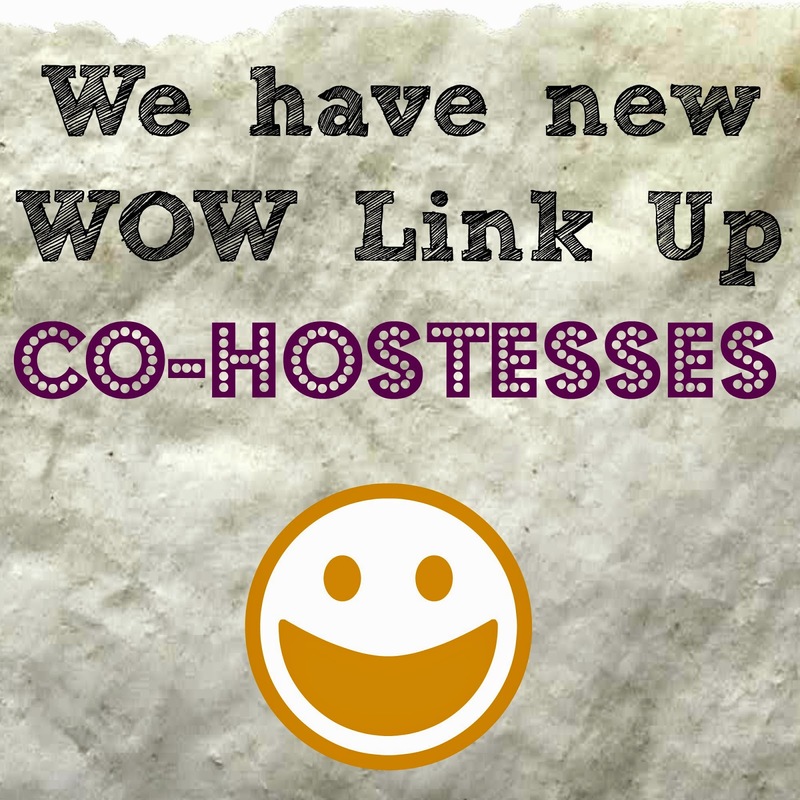 Just continue participating in our weekly WOW Link Up, spread the word and keep supporting the other participants by leaving comments and showing them some love. Happy Monday! 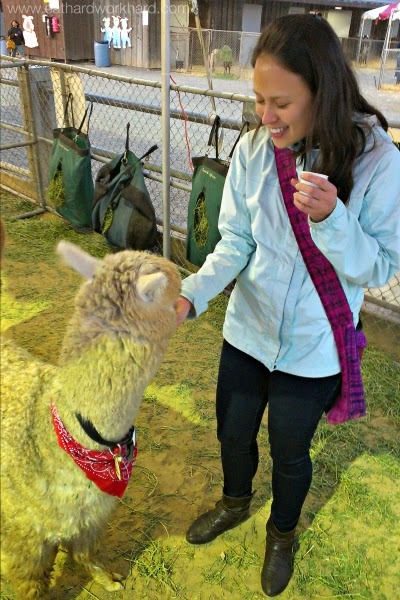 I had a crazy fun and super busy weekend, including a ton of food, beer, fun, pig racing and alpacas at the county fair! 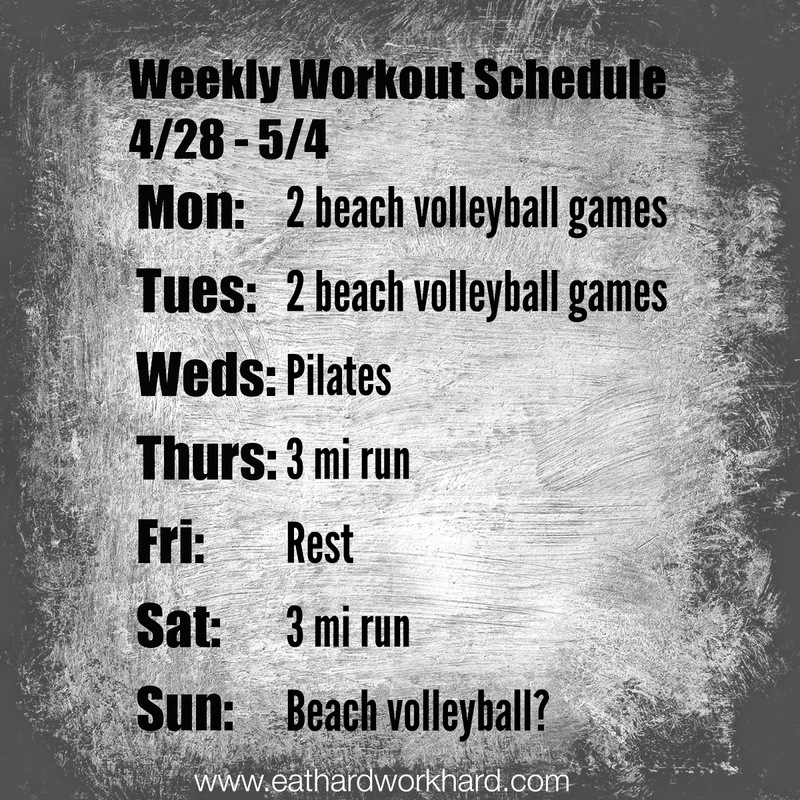 I also have a busy week ahead because it's my last week in the office before I head out to the Philippines on a loong work trip! And the bf is visiting this weekend!! With all the awesome non blog things going on, I didn't have time to do my usual meal prep. 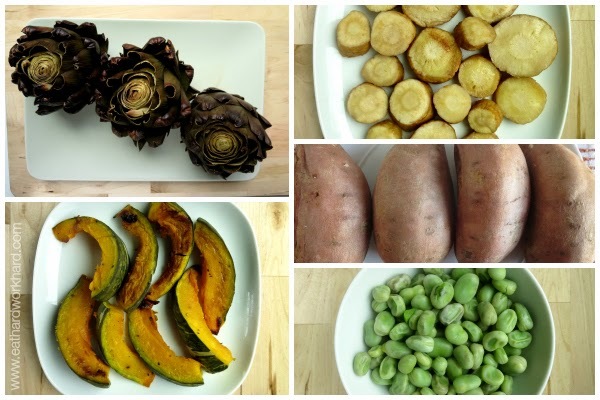 But I did take the opportunity to show how you can prepare for a week of healthy food with very little prep time. So here's my super easy no prep method to set yourself up for healthy meals throughout the week. 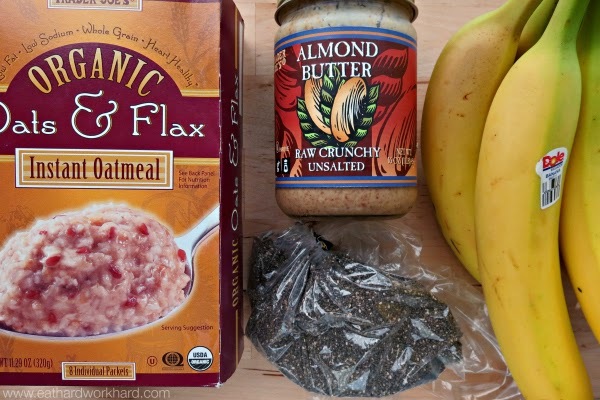 Instant oatmeal is makes for a really easy grab and go breakfast. On its own, however, even this cool oats and flax variety I found at Trader Joe's is a little wimpy nutritionally. Adding half a banana, 1 tbsp of chia seeds, 1 tbsp of almond butter, and 1/4 cup Greek yogurt (not pictured, whoops) gives you a hearty, under 400 calorie breakfast with 9 grams of fiber and 16 grams of protein. I'm lucky enough to have a good amount of fridge and cabinet space at work, so I can just bring a week's worth of breakfast supplies with me to put together quickly each day. If you have a little more time, portioning out each day's ingredients into an easy grab and go package works well too. I didn't have time to cook a protein, so I picked up a couple easy items and worked with what I had. I love my baked tofu, but if you don't have time to prep it's also great raw in salads or stir fries. 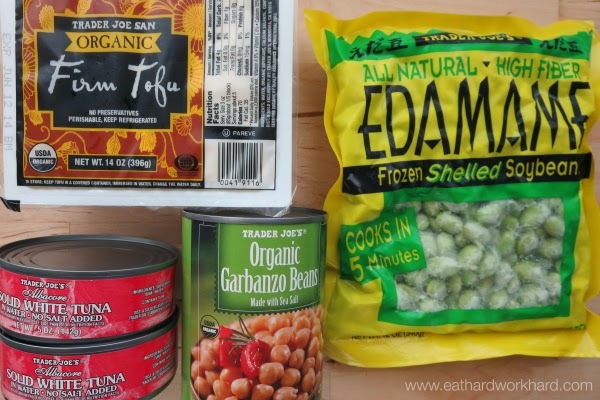 Edamame is very high in protein, and the frozen shelled variety cooks up easily for a weeknight meal. Canned tuna and chickpeas also make great quick, no cooking required, low calorie proteins. Besides the sweet potatoes I (barely) managed to bake, I bought some easy sides. Bagged greens are great for lunch. I just throw in some protein and cut up sweet potato and call it a day. I also got some organic zucchini, which I can grate to use instead of noodles. 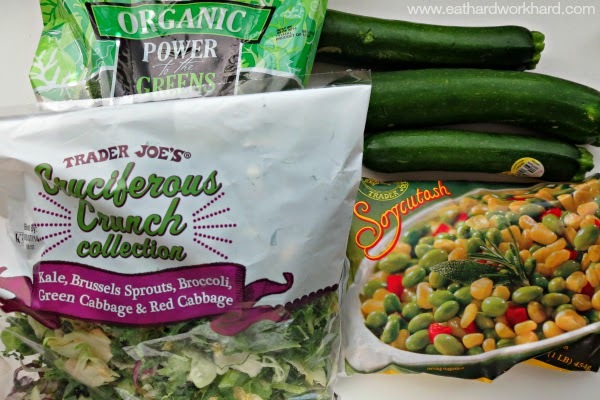 Trader Joe's soycutash, a mixture of edamame, corn, and red pepper, is one of my favorite frozen veggies. It boils up fast and I'll even throw it in a stir fry straight from the freezer. Can't get much easier than that. Q: Do you have any time-saving tips for meal prep? Besides just not doing it at all. I've tried that one before. 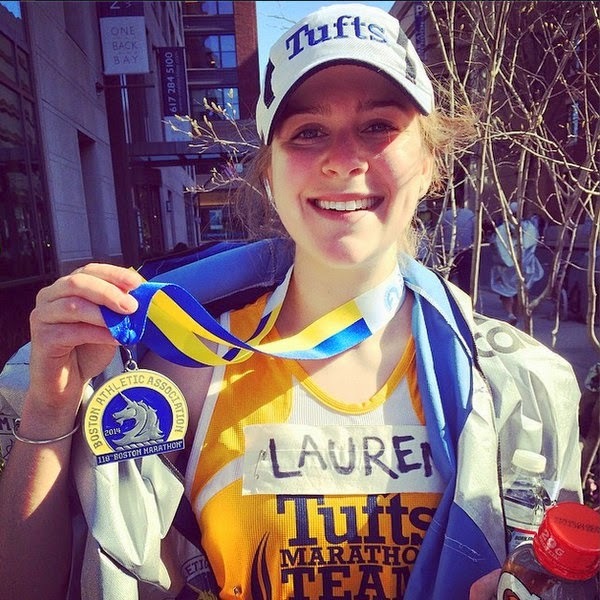 As promised, I'm sharing a recap of my first 10-miler, but first I wanted to give a huge shout out to my friend Lauren who ROCKED the Boston Marathon on Monday! It was her first marathon and she finished in 4:30:46! What a rock-star! My race was much less impressive but I'm still pretty proud of myself. Here's how it went down. 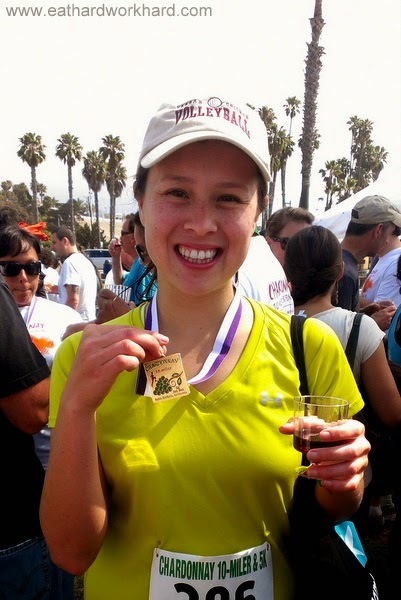 Saturday's race was the Santa Barbara Chardonnay 10-Miler. 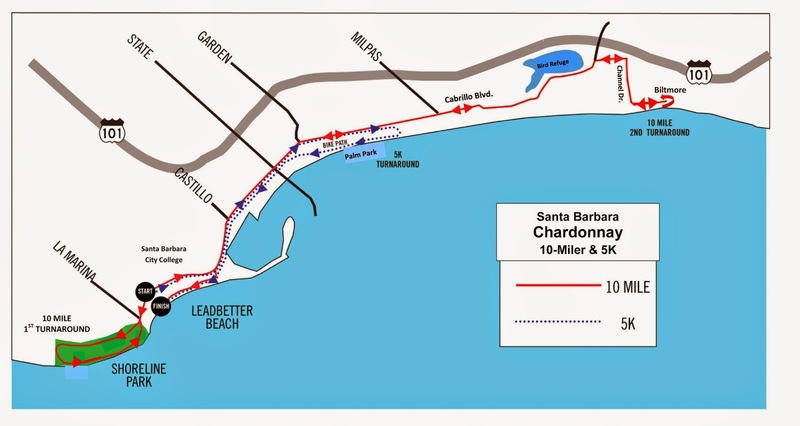 It's apparently one of the oldest races in the area and the course is along the beautiful Santa Barbara waterfront. I picked up my packet the night before so race day went pretty smoothly. Race-day packet pickup lines were long but looked organized, there was plenty of Gatorade, water, GU and even coffee available. The only downside was the incredibly long line bathroom line, although to be fair I later heard there were more bathrooms a little farther away. I thought the long bathroom and packet lines might delay the start, but the organizers managed to get everyone to the line just before 8:00. It was a fairly small race, with less than 400 runners, so there weren't corals or even designated runner, jogger, walker divisions. I lined up kind of a little front of center and, after a super-casual "on your mark get set go", we were off at about at 8:02! 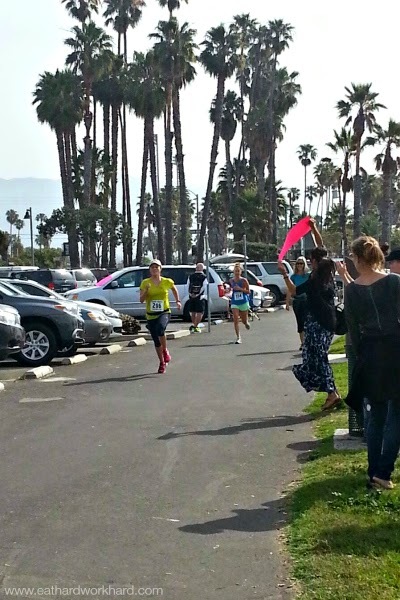 The hardest part of this race was getting passed SO MUCH. One of my race goals was to go slow to avoid burning out early. But it was really hard to maintain my pace when EVERYONE was running faster than me. Seriously, I turned around once to make sure I wasn't actually THE LAST ONE. There was a particular low point around mile 4 where a 65+ BAMF lady with a full head of silver hair breezed by me. I just had to tell myself to let it go, but boy was it hard on my competitive spirit. 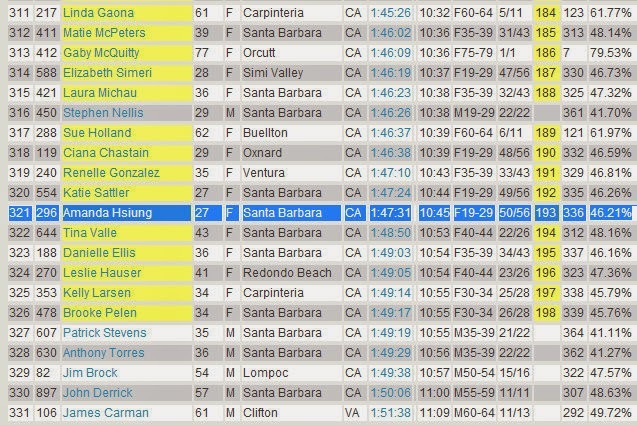 I definitely started to feel my legs by mile 5, and all the getting passed was a little discouraging. 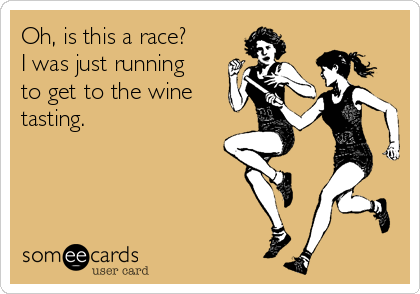 I also never managed to find someone running at my pace I could try to stick with. 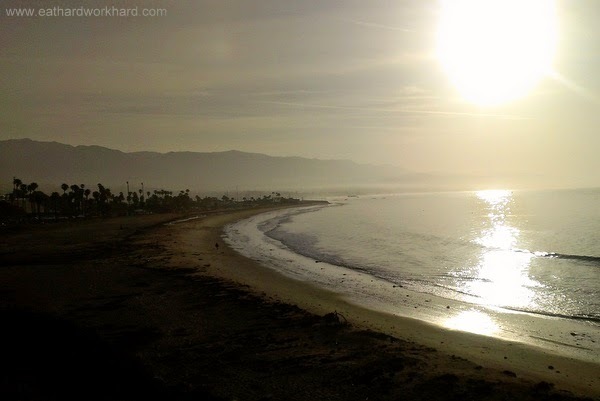 But MapMyRun kept telling me I was running around my 11 min mile A goal pace and the gorgeous views kept me going. I didn't end up taking a ton of pictures, because once I stopped to walk it was really painful to start running again. So except for a brief walk to grab some water from the mile 3,5,7 and 9 stations and eat my Honey Stinger energy chews and waffle, I mostly at least maintained a slow jog. 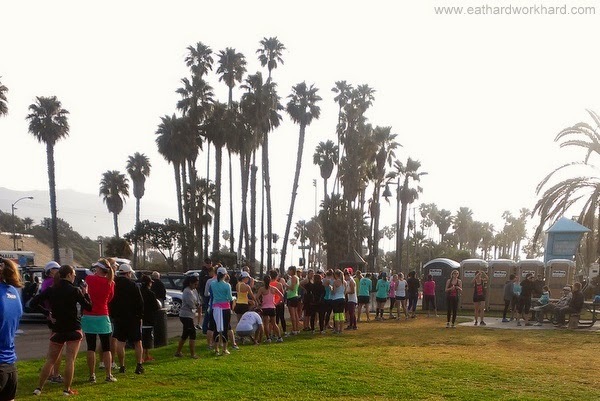 A little before mile 8, we joined the regular beach bike/jogging path, which was open to joggers, walkers, and cyclists. I didn't feel like I was in danger of getting hit but I did have to weave around a bit, which was challenging. My legs were pretty dead by this point, but this was also when I finally stopped getting passed and even passed a couple people! Around this time, I also saw a woman a little ahead of me. I picked up my speed when I hit mile 9 and started to gain on her. Then, as soon as I heard my phone say I only had a quarter mile left, I decided I was going to beat her. I thought "You may not know it, but we're racing now" and took off. I pulled ahead of her but wasn't sure how close she was so I kept pushing. Then I saw my awesome coworker Jill waving that pink sign, Maureen cheering, and my housemate Michelle taking pictures and SPRINTED to the finish line. I beat my A goal of finishing in 1:50:00 with a chip time of 1:47:31! That's a 10:45 min mile!! So I know people run marathons (a lot) faster than that, but it's much faster than any of my long training runs. Oh and don't worry about my head getting too big. Coming in 321/377 will keep me plenty humble. Over half the race finished in under 9 minutes! No wonder I kept getting passed! 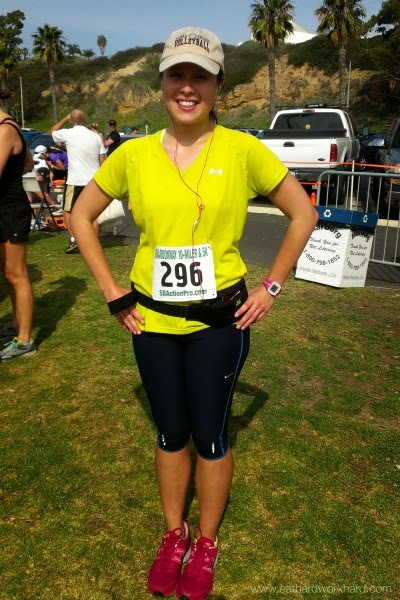 I still feel a huge sense of accomplishment for running my first 10-miler on 4 weeks of training much faster than I thought I could, and being fit enough to sprint at the end (and go out dancing that night ;) ). Plus I made it to the wine tasting, which was my most important goal of all! Happy Monday! 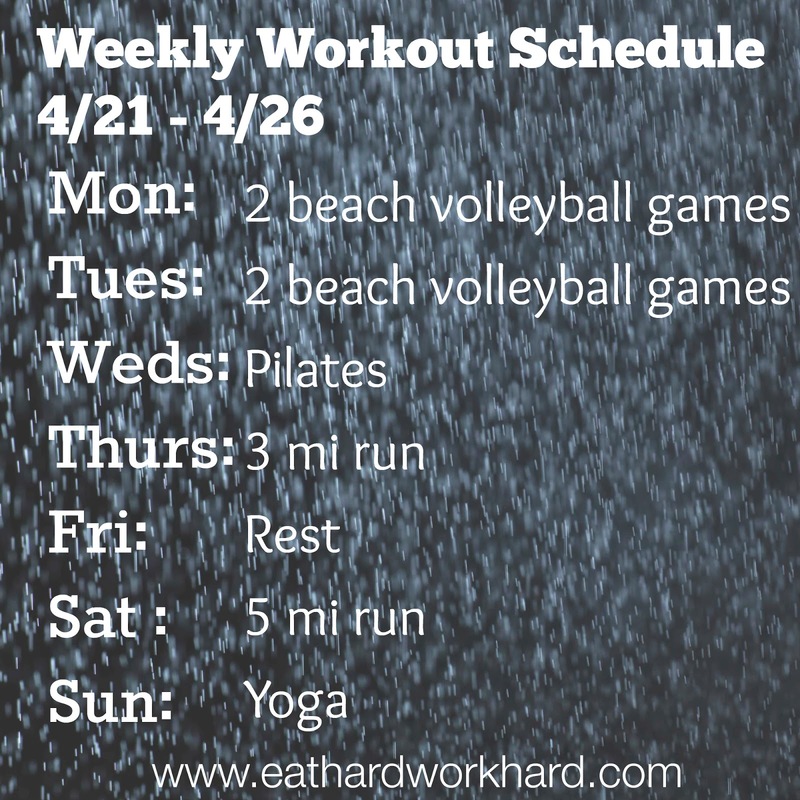 I have a super busy week ahead but I'm feeling pretty confident about it. 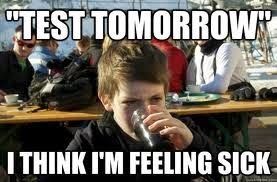 Must be because I ROCKED my first 10-miler on Saturday! I'll have a full recap on Wednesday, but for now I'll just say I not only survived to make it to wine tasting, I smashed my goals! Plus, I felt good enough to go out dancing that night and get all my meal prep done on Sunday! 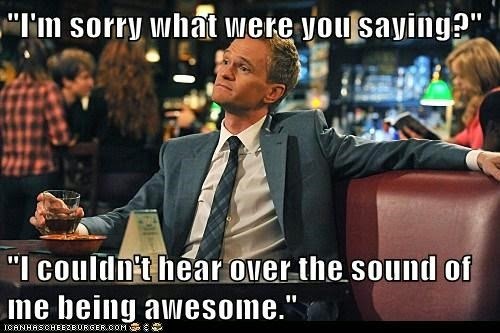 It was basically a weekend full of win. Except for winning the actual race. That's crazy talk. I got a major case of food envy when my co-worker ordered an awesome breakfast burrito at our post-race brunch, so I decided to create a healthy freezer version. 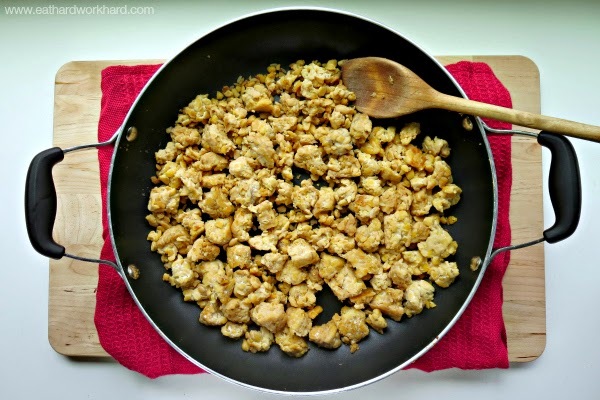 I found these tips for freezing burritos from The Kitchn really helpful and chose my filling based on my love of Mexican flavors and desire to try the famous Trader Joe's Soyrizo. Heat olive oil in a large nonstick skillet over medium high heat. Add onion and pepper and cook until onion begins to soften. Stir in egg whites until they begin to harden. Sir in avocado, spices, salsa and cheese until heated through. Divide filling evenly into tortillas, top with spinach leaves, and wrap tightly (see this video for tips). Wrap each burrito in plastic wrap, place into a freezer bag, and freeze. To reheat, unwrap plastic wrap, wrap burrito loosely in a paper towel, and microwave until hot, about 1-2 minutes. These breakfast burritos are full of flavor and just the right amount of spice--a nice change up from my normal sweet baked goods breakfast flow. They freeze and reheat really well, and make the perfect handheld grab and go meal. I had an Easter dinner to get to on Sunday, so I made my slow cooker shredded chicken again. I just dumped 1.5 pounds of boneless skinless chicken breasts in the crockpot along with chicken broth, mixed spices and powdered garlic, and turned it on low. And 6 hours later when I came back from dinner, I had delicious, moist chicken breast waiting for me! 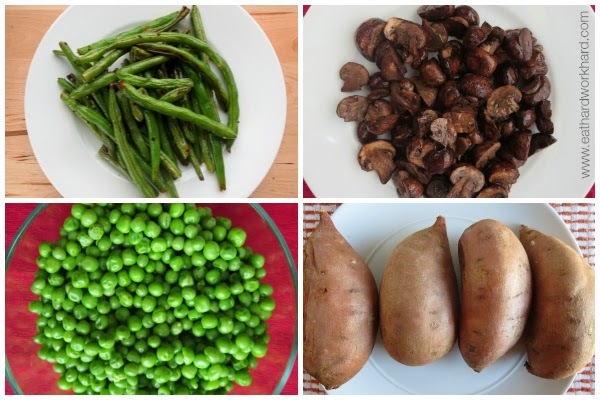 I kept it pretty simple with this week's veggies too, roasting some sweet potatoes, mushrooms and green beans in the oven and boiling some frozen peas. 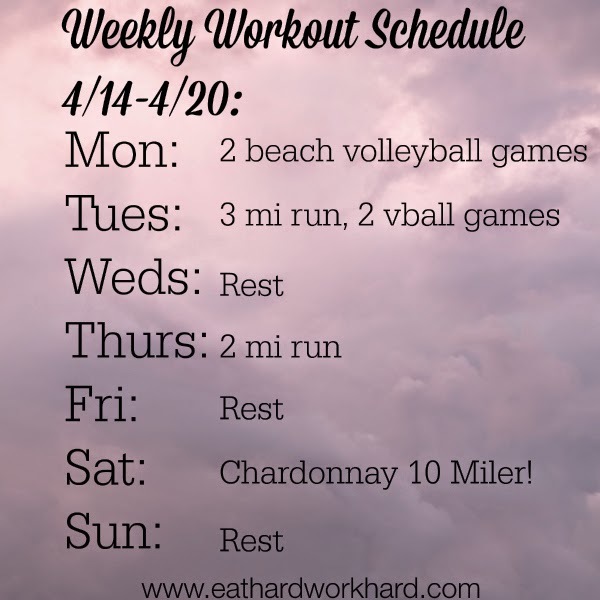 Since I finished the Chardonnay 10 Miler, I plan to go easy on the running for a bit and do other things, like going back to that great Pilates class I loved. 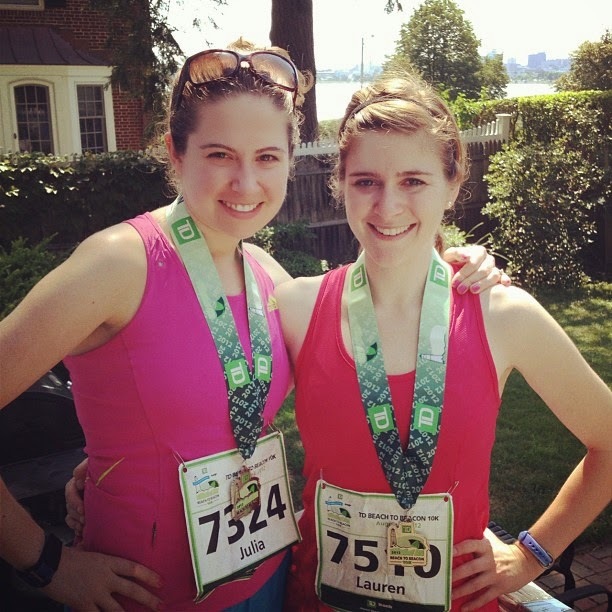 /her FIRST marathon! 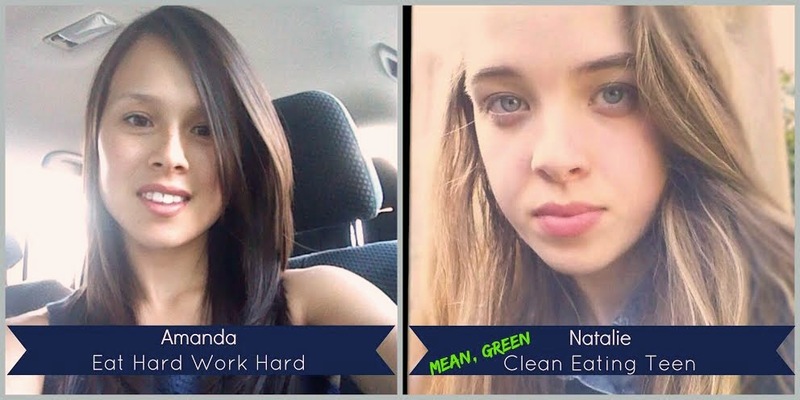 Read more about her story and how to follow her race progress here.